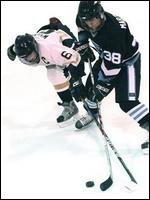 Brendan Ackelson helped the Butler hockey team start the season with a heavy offensive outburst at Ice Connection. defeat State College 9-0. Marcus McCall, Connor Scott and Trevor Gilliland also scored twice for Butler (1-0). The Golden Tornado outshot State College 36-25. 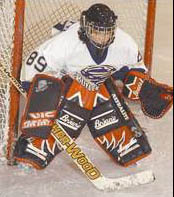 Butler goalie Clay Bachman made 25 saves to earn the shutout. and paid for it by myself." Beau Bechtel's natural hat trick in the first period led the Tornado to the win. Golden Tornado Varsity hockey team won the Knoch Varsity tournament at the Valley Sports Complex. Team members include Tanner Master, Patrick Wellner, Ryan Kradel, Eric Klopfer, Dave Wolfe, Tony Strange, Steve Stepanian, Zach Pennington, R.C. Double, Beau Bechtel, Warren Schultz, Zach Carben, Chris Glover, Josh Elsass, Gereme Hensel, Maverick Goepfert, Benny Beers, Timmy Smith, Kris Rhodaberger and Justin O'Donnell. "My mother has always been behind me in everything ... I'm hoping to play women's hockey at Penn State some day. 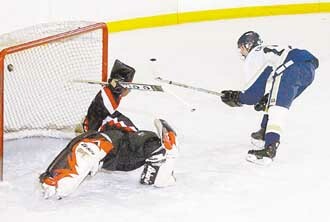 Tanner Master and Beau Bechtel had a goal and assist each as the Butler freshman hockey team defeated Freeport, 4-2. R.C. Double and Zach Pennington added a goal each. Dave Wolfe, Cam Schuler and Warren Schultz had assists. The Golden Tornado's junior varsity tied North Allegbeny, 2-2, as Mavrik Gephert had a goal and assist. Jereme Hensel scored a goal, Shawn Colono and Ryan Kradel adding an assist each. Connellsville's Michael Schmidle (69) breaks in and fires a shot at Butler goalie Jim Ferguson during the first period of Monday's game. Schmidle later scored on the same shift, but the Falcons lost. Myke Guentner and Spencer Crouse scored third-period goals as Butler’s varsity hockey team came from behind to defeat North Allegheny, 3-2, Wednesday night at Belmont Arena. 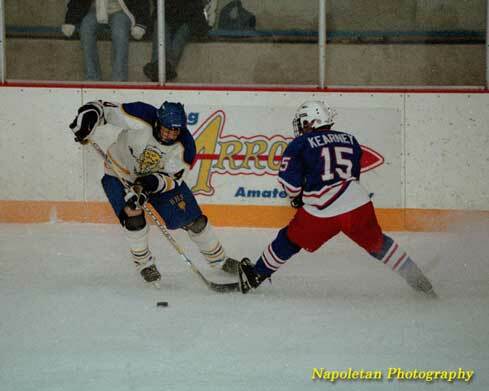 The win improved the Golden Tornado to 6-1 entering tonight’s game against Woodland Hills at the Delmont Ice Center. Joe Williams got NA on the board with a goal with 3:18 left in the first period. Butler’s Jared White answered with a power-play goal, assisted by Tyler Druschel, with 9:29 left in the second period. Just 29 seconds later, Garrett Waldschmidt — who had assisted on the Tigers’ first goal — found the net and NA took a 2-1 lead into the final period. Guentner tied the game with 9:37 left, assisted by Greg Rogerson and B.J. Tipton. With 3:16 remaining, Crouse got the game-winner, assisted by Jon Pakutz and Jared White. Jon Pakutz's goal with eight seconds to play in overtime lifted the Butler Golden Tornado to a 2-1 win against Franklin Regional in the first round of the PIHL Class AAA playoffs last night at Belmont Arena in Kittanning. Meadville (23-2-1) got goals from Phil Siverd, David Moyer and Luke Killagan in a quarterfinal win at the Meadville Area Recreation Center. B.J. Tipton scored both goals for Butler (17-9). The Butler Golden Tornado hockey team came up short again by losing to Gateway 4-2 last night. Goal scorers for Butler were Sophomore Eric Blum and Freshmen Jared White. Assists were from Senior Chris Stutz, Freshmen Tyler Druschel, and Junior Leo Cancilla. Butler is home against #2 ranked Central Catholic Thursday night at the Belmont in Kittanning at 9pm. Butler came out flat and Fox Chapel took advantage of it by scoring three goals in the first period and leading after one period 3-0. Butler was outshot 16-1!! However, Butler dominated the second period by outshooting FC 10-4, buy could only score a goal by Sophomore Jeff Pozzuto, with an assist to Freshmen Jarred White to make it 3-1 after two. FC scored early in the third period to make it a 4-1 FC lead. But, Butler bounced back and when Junior Dave Sneeringer scored, with assists from Junior Paul Bernot and Sophomore Eric Blum, Butler cut the lead to 4-2 with plenty of time left in the third period. However, the Golden Tornado could not rally and fell short in a great game 4-2. Senior Goaltender Ethan Gerhart played an excellent game stopping 38 of 42 shots on goal. Butler is now 1-15 and will play at Shaler next Thursday night at Harmarville.
. The Butler Golden Tornado Hockey team came up short against Shaler last night with a 3-2 loss at Shaler. Junior David Sneeringer gave Butler a 1-0 lead at 6:43 of the first period, the goal was assisted by Sophomore's Jeff Pozzuto and Eric Blum. The period ended with Shaler outshooting Butler 15-6. Shaler scored an early goal to begin the second period to tie the game at 1-1 after two periods. Shaler came out in the third period and scored two goals in a span of one minute to take a 3-1 lead. However, Butler kept battling and when David Sneeringer scored his second goal of the game on the power play the score was cut to 3-2. The goal was assisted by Blum and Junior Paul Bernot. Butler could not capitalize on a late two man advantage and fell short to Shaler 3-2. Junior Eric Laska was outstanding in goal for the Tornado stopping 26 of 29 shots on goal. Butler will travel to Gateway Monday night in Monroeville 7:30pm. The Golden Tornado picked up its first victory with 4-3 win over neighboring Seneca Valley. After Sophomore Eric Blum tied the score at one in the second period, Butler began the final period with goals by Leo Cancilla and Michael Schmidt. With the contest tied and less than 3:30 to go Cancilla ran the game winner in with an assist from Blum.